I loved Braid. Just throwing that out there. The Witness is about the experience of being alone on an island, finding beauty in that solitude and solving puzzles along the way. I'm not a fan of platformers, so I wasn't particularly a fan of Braid. I appreciated the unique ethic and it had some fun ideas, but it was a little twee for me. 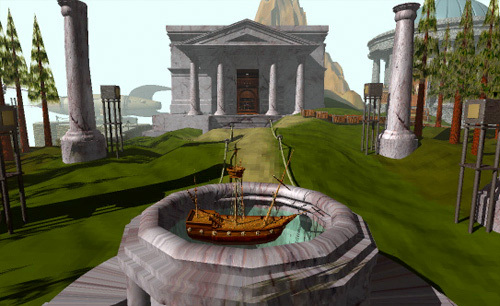 I'm a big fan, however, of 3d exploration games of which Myst is definitely OG. Jonathan Blow made a sheaf of bills riffing on Mario; if he can make a sheaf of bills riffing on Myst good on 'im.